In photographs and media-based works, Patti Ambrogi has dealt with themes including censorship, concepts of female identity, and the moving image as it relates to photography. 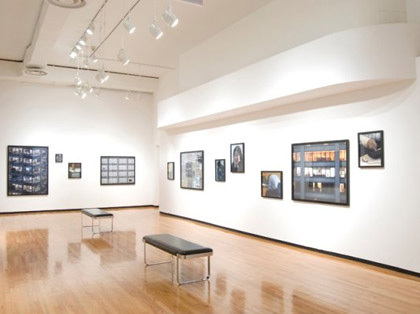 Aftering completing a BA at Albany State University, Ambrogi went on to pursue graduate studies in photography from 1972 to 1976 at the Visual Studies Workshop in Rochester, New York, which was at the time partnered with the State University of New York at Buffalo. She is currently a professor at Rochester Institute of Technology, where she also founded the Media Cafe, an experimental exhibition site where students can explore new territories of picture making with time-based media. Ambrogi's work is represented in Rochester Institute of Technology MFA Portfolio from 2000, along with photographs by her graduate students.